This is a great way to extend your internal space without encroaching into your garden, especially if you have limited space to the rear of your house and can’t really fit an added room outside and with proper forethought & preparation, nearly all types of houses can accommodate a loft conversion. Is my house suited to a loft conversion? Some of the first things you may need to consider are the available room height, pitch of the roof, type of access and existing obstructions, such as water tanks or chimneys. 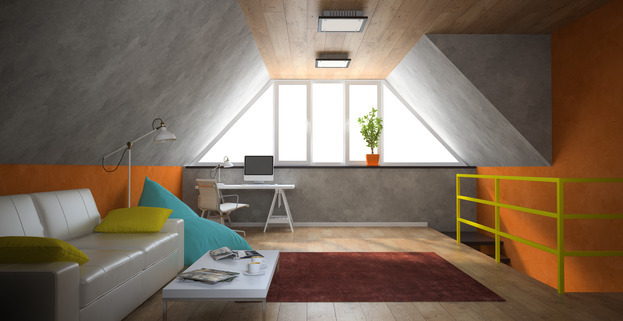 The good news is, that for loft conversions with volume up to 50 Cubic metres (terraced houses up to 40 cubic metres) you may not need planning permission – although you will need to meet building regulations, and there are quite a few of them to abide by in relation to loft conversions and even if you fall within the permitted development, you may still be affected by the Party Walls Act – always check with your local planning department before starting work. If what you plan is something very simple and if you are an experienced DIY person you could do most of the work yourself, but at some point you will need the services of a professional or two, even if it just to deal with electricity & plumbing. Using a building contractor or specialist loft conversion company is obviously going to cost more than a DIY job, but if you are going to make the most use of the space with a good design that involves altering the structure, then using professionals is the way to go. 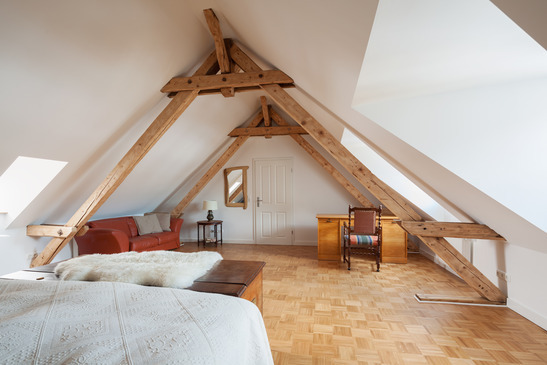 Typical Loft Conversion Types can be Roof-light or Dormer, Hip to Gable/Gable to Gable, Mansard or even a total roof replacement module which is where the whole loft conversion is constructed off-site and when ready, your existing roof is totally removed and the new module lifted into place & fitted. The biggest mistakes people make with loft conversions are usually not getting their property assessed first, not taking the right design advice, not getting the correct permissions from the local council and mostly under-estimating the budget & not having contingency funds. If you do it right, it’s possible to add 15% to 20% to the re-sale value of your home, this figure should also act as a guide to how much you should spend on your loft conversion if your objective for doing the work in the first place is just to increase the property value. Why not find out more about a new Loft Room?